The construction industry is one of the largest consumers of energy and raw materials, and highest contributor to the emission of greenhouse gases. Improvements in insulation and boiler efficiency now mean that the energy associated with the production of the materials used to construct a building are a significant proportion of the total energy consumed by the building during its life. 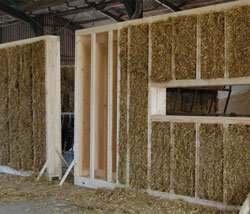 By using low embodied energy construction materials the total energy use of a building can be reduced. However, the new materials must perform as well as or better than existing technologies and need to be lower in cost. The re-use of waste materials is an important route to achieving these goals. 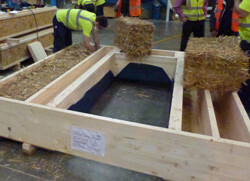 The project aims at developing new technology routes to integrate waste materials (i.e. mixed plastic waste from Municipal Solid Waste, Waste Electrical and Electronic Equipment plastics, rubber tyres, rigid PU foam wastes, waste ashes from power stations, municipal incinerators, rice husk, etc.) 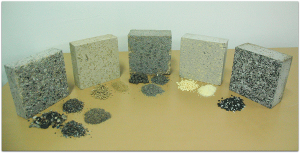 in the production cycle of concrete, for both ready-mixed and pre-cast applications, resulting in an innovative light-weight, eco-compatible and cost-effective construction material, made by all-waste raw materials and characterized by low EMBODIED ENERGY and CO2 and by improved performance in terms of thermal and acoustic insulation. Read the CETMA e-Newsletter (in Italian) about the SUS-CON Project and view the final infographic of the project! The main objective of the project is to develop novel, inorganic insulation materials and building insulation masonry components based on mineral tailings, recycled materials and industrial by-products, with low EMBODIED ENERGY and without technical, health and environmental drawbacks. These materials will have more than 50% lower embodied energy and at least 15% lower total cost, than the currently available insulation materials and existing solutions. The aim of the project is to use biocomposite materials to bring about a step-change in the reduction of embodied energy in building-façade, supporting structures and internal-partition systems by at least 50% over current materials with no increase in cost. This will lead to a step change in the use of sustainable, low carbon construction materials, by replacing aluminium, steel, Fibre Reinforced Polymers (FRP), brick and concrete in new-building and refurbished structures. 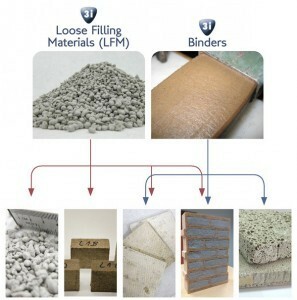 The ECO-binder project aims to demonstrate the possibility of replacing Ordinary Portland Cement (OPC) and OPC based concrete products with new ones based on the new Belite-Ye’elimite-Ferrite (BYF) class of low-CO2 binders to develop a new generation of concrete-based construction materials and prefabricated building envelope components with more than 30% lower embodied energy, 20% improved insulation properties and 15% lower cost than the actual solutions based on Portland cement. The ISOBIO project will develop a new approach to insulating materials through the novel combination of existing bio-derived aggregates with low embodied carbon and with innovative binders to produce durable composite construction materials. These novel composites will target 50% lower embodied energy and CO2 at component level and 20% better insulation properties than conventional material. 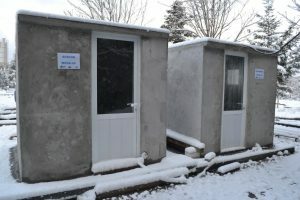 The project will also seek to demonstrate a reduction of at least 15% in total costs and 5% total energy spent over the lifetime of a building. 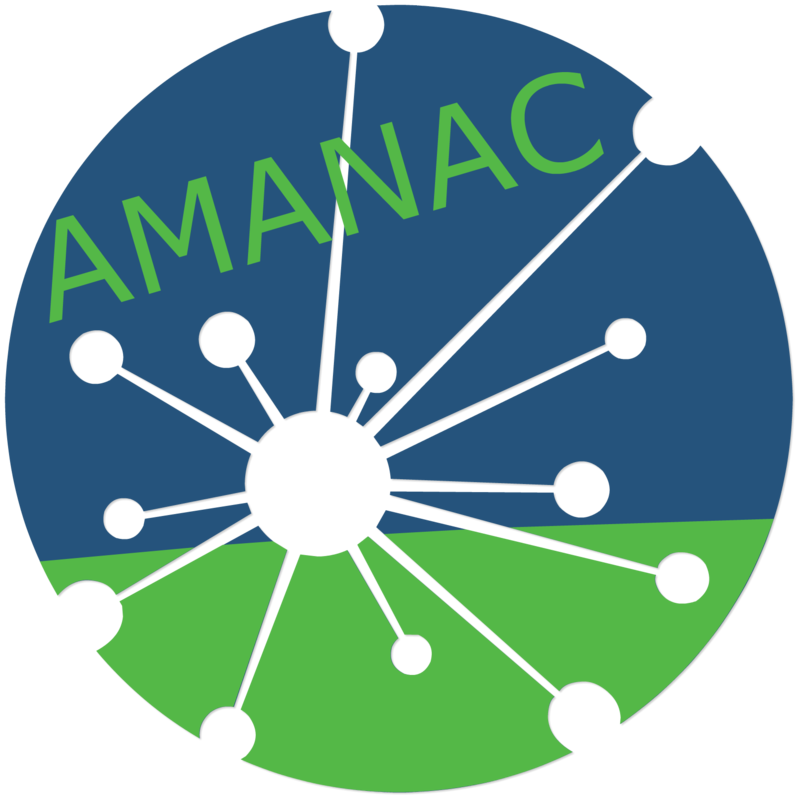 The core of the workshop was the presentation of results and activities of the projects (LEEMA, SUS-CON, ISO-BIO and ECO-Binder) with an introductive presentation of AMANAC Cluster and AMANAC CSA.